Lizzie Wagner's First Australian Indigenous training programs started in New South Wales in the 1980's. Since then she has delivered a variety of programs to Indigenous students across Australia, from major cities to remote communities. 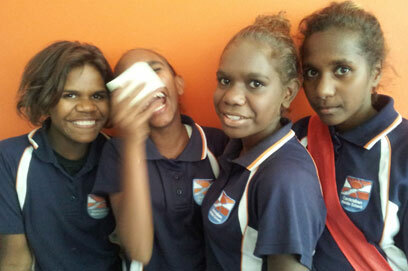 Lizzie’s Indigenous training programs focus on self-esteem and empowerment, as well as, health, hygiene, and diet. Over the years, Lizzie has partnered with a number of organisations including Indigenous Community Centres, The Fred Hollows Foundation, and The Smith Family to deliver these programs. We work with you personally to make sure your training is tailored for your unique needs. Get in touch today!